An ISIS commander whose wife was recently arrested by the Lebanese Army has called on jihadi militants to fight Hezbollah inside Lebanon, accusing the Lebanese government of being an accomplice to the powerful movement. Anas Sharkas, better known by his nom de guerre Abu Ali al-Shishani, said in an interview published Wednesday in daily Al-Akhbar that Hezbollah “has taken Iran as its god,” and had entered Syria to massacre its men and harass its women. “I call upon all the jihadis to move (the battle) to Lebanon to break Hezbollah because it is massacring our women, children and men, while its women and children enjoy security,” Sharkas said. “If we want to succeed, we have to fight the kin of those who are killing us in Lebanon,” he added. Sharkas said he had worked in Lebanon as a pastry chef before the war erupted in Syria, but returned home to carry out jihad for the sake of establishing an Islamic caliphate. 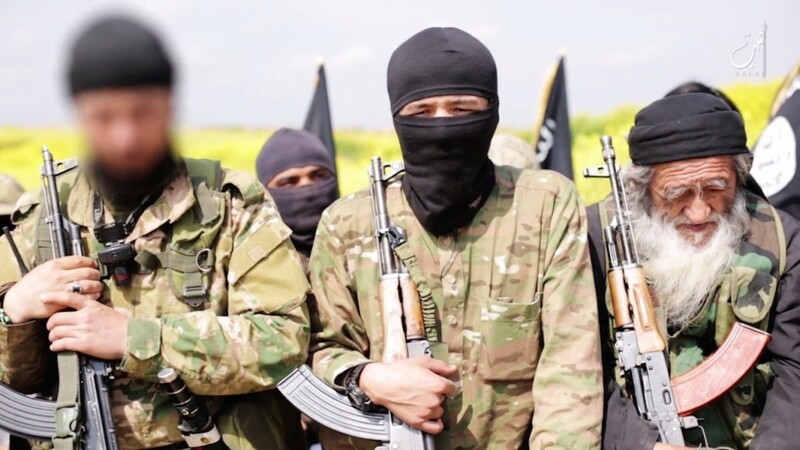 Sharkas said he would sacrifice his life for both the Nusra Front and ISIS, calling upon the two jihadi groups to end their strife and unite under the single banner of Islam. Al-Akhbar said it conducted the interview two months ago on the outskirts of the border town of Arsal, in east Lebanon. The militant appeared in a video last week in which he threatened to attack Lebanon and to start kidnapping women and children in retaliation for the arrest of his wife, Ola al-Oqaili, and two children by the Lebanese Army. Oqaili was apprehended in a Syrian refugee gathering in north Lebanon two weeks ago. She was handed over to the General Security on Tuesday, after the Military Prosecutor had cleared her of any major offenses. The move indicates that her release has become imminent. Next Has the U.S. Turned Off the Islamic State’s Oil Spigot?